Gian Micalessin's investigation, which aired on Italy's Canale 5 television channel this month, confirms long-held suspicions held by many that agent provocateurs, and not members of Ukraine's Berkut tactical law enforcement unit, were responsible for the murders of dozens of anti-government protesters and police in mid-February 2014. The journalist was able to secure exclusive testimony from three Georgian ex-mercenaries, including Koba Nergadze, Kvarateskelia Zalogi, and Alexander Revazishvilli. The three men revealed ties to former Georgian President Mikheil Saakashvili and the Georgian security services. 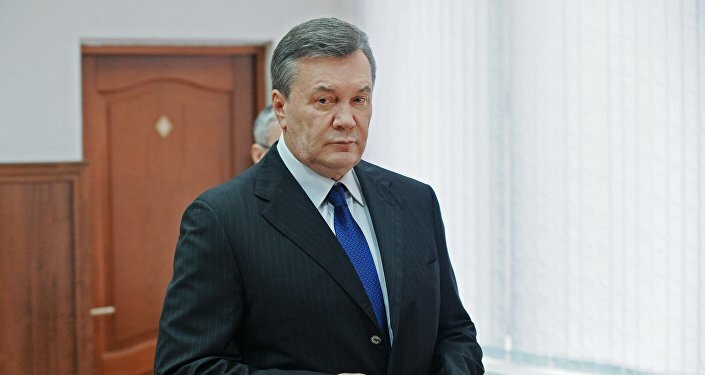 Specifically, they explained that they were recruited in late 2013 by Saakashvili military adviser Mamuka Mamulashvili, given false passports and cash and sent off to strife-ridden Kiev. There, they and other foreign nationals, including several Lithuanians, were tasked with arranging provocations with police, at first using Molotov cocktails, makeshift shields and clubs. 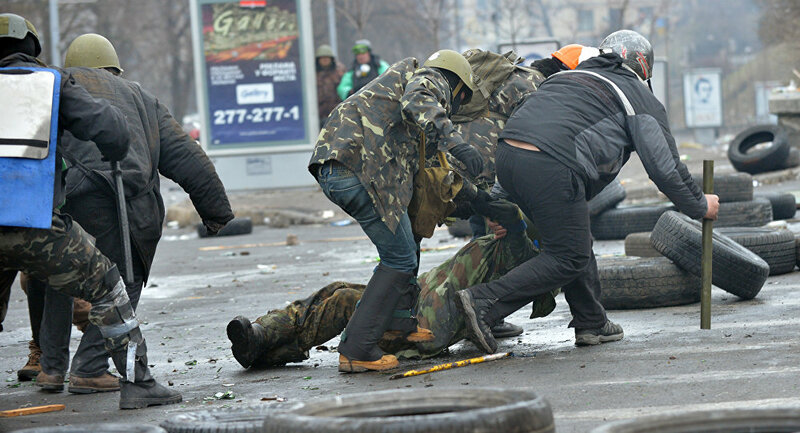 According to the mercenaries, on February 18, military-grade weapons, including AKM rifles, Makarov pistols, and ammunition, were distributed to the Georgians and Lithuanians at Hotel Ukrayina, overlooking Maidan Square, where opposition protesters were concentrated. According to Zalogy, he and the other mercs, including masked men under the orders of Ukrainian politician Sergey Pashinsky, were told to use their weapons to "sow some chaos" and fire indiscriminately into the streets. In an exclusive interview with Sputnik Italia, Micalessin explained how he was able to secure the bombshell testimony, and what it means for Kiev's official version of the events that allowed it to come to power. Sputnik: Mr. Micalessin, how were you able to find these witnesses? Or did they get in touch with you? Gian Micalessin: It's a long story. It all started in Syria, where I met a Georgian journalist who had heard about these snipers. Obviously I was intrigued, because so many doubts have been raised about the events on Maidan since February 2014. A year ago, I asked this journalist to put me in contact with these snipers, but they did not want to talk. I remained in touch with them, and kept insisting, and this summer, my colleague told me that the trio were ready to talk. The first meeting took place in Skopje, Macedonia, where I talked to two of them. We talked for a long time. I wanted to make sure that they were really there. I did very long interviews with each of them and compared them, and it all came together. In another Eastern European country I met with the third man, Alexander [Revazishvilli]; his story matched up with the others. — Ian56 (@Ian56789) 13 сентября 2017 г.
Sputnik: Did you have any doubts about their version of events? Were the witnesses convincing? Gian Micalessin: Their testimony coincided both with each other, and with the chronology of the events on Maidan. Doubts about who did the shooting emerged the day after [the shooting], when even the head of the Estonian Foreign Ministry, who supported Ukraine's opposition, said that he had serious doubts about the story. Later, a Ukrainian doctor said that people from both sides [i.e. police and protesters] were killed by the same weapons. The Estonian minister presented his doubts to [EU foreign minister Catherine Ashton] via a telephone call. So this was something that's been discussed a lot. Sputnik: Over a week has passed since your investigation went public. What's been the reaction of the Italian media? Gian Micalessin: The Italian media's reaction has been total silence, a strange silence, since the Ukrainian question should be of interest to us, at least insofar as its consequences for Italy are concerned. It's worth keeping in mind that the [anti-Russian] sanctions that Italy has supported along with the rest of the European Union have cost our country 3 billion euros. This situation has caused big problems for Italian business. Moreover, we've also been involved in NATO initiatives which have meant our troops taking part in operations on Russia's borders. All this creates tensions in relations with Moscow, including from the military perspective. If all of this is a consequence of a reaction to something that never occurred, it's necessary to take a closer look at the testimony of the three persons who have given us a completely different version of the events of Maidan. According to the journalist, his investigation has resulted in a number of threats and insults from Ukraine. Russian media, meanwhile, have picked up on his work and showed considerable interest in his findings. 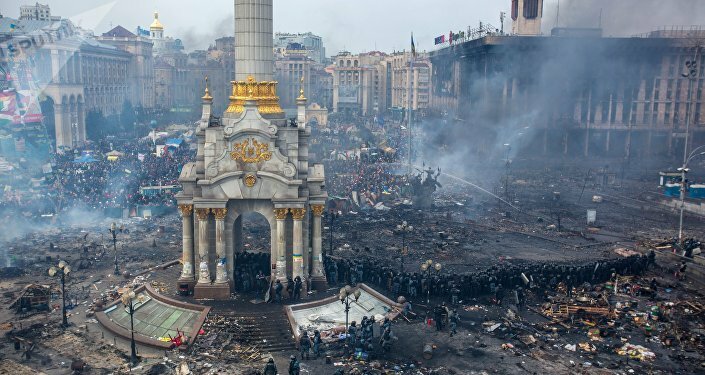 Micalessin now hopes that his documentary will be picked up by other foreign television networks who may want to see a new perspective on the tragic events of February 2014 in Kiev. A version of the documentary with English subtitles can be found here.